As you plan for how your assets will be handled after you pass away, you need to consider your family. Part of the purpose and benefit of having an estate plan is that you protect your spouse, children, and other beneficiaries. You are trying to save them time and energy by having a plan they do not have to think much about after you are gone. Unfortunately, things do not always work out that well. Despite your intentions, your relatives may argue, which in turn could lead to time-consuming and costly legal disputes. It benefits you to work with an experienced estate planning lawyer when drafting your will to ensure you take into consideration potential disputes and take steps to prevent them. To discuss how to minimize the risks of inheritance disputes, contact an attorney today for help. Arrange for your funeral and burial: Leave your loved ones to make as few decisions as possible, including whether you wish to be buried, and if so, in which type of casket and where. If you wish to be cremated, include where you would like to be laid to rest. You may also dictate whether you wish for a religious or secular ceremony or none at all. Consider your executor: You should carefully and logically consider the best relative to be the personal representative of your estate. Also, make sure you have at least one backup named in your will in case the first individual cannot do the job or is not willing to. Consider your children’s typical roles: When you have adult children, you are aware that they tend to take on certain roles. Be considerate of those roles and your children’s relationships with one another when you plan for the future. Also, despite how your relationships with your individual children may differ, treat your children as fairly and equally as possible in a will. Fairly address a second spouse and stepchildren: It can be challenging to address the needs of your current spouse, biological children, and stepchildren. One of the ways you can do this is to utilize a prenuptial agreement when you enter into a second or subsequent marriage. However, if you did not discuss this issue with your current spouse and do not have a prenup, then work with your family and an attorney to ensure you step on as few toes as possible in your will. 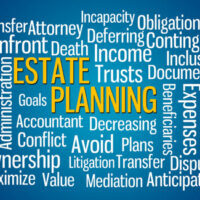 Update your estate plan over time: Certain life events necessitate revising your will. Also, this should simply be done every few years to ensure your will and other estate planning documents reflect the current state of affairs and your wishes. Specifically assign personal property: Many inheritance arguments are over specific personal items, such as jewelry, paintings, antique furniture, and collectibles. Be sure to address personal property separately and assign pieces to specific individuals. It is often best to speak with your family members about pieces they have personal attachments to. You can easily update your list over time since many states allow you to keep a personal property memo as an attachment to your will. Do not make beneficiaries share: It may be tempting to give larger assets to more than one person. For instance, you may leave your vacation home to your three children. However, joint ownership is often riddled with disputes and could cause more trouble than happiness for your children. You need to know individuals who would share ownership are ready and willing to do so, and even then, you should carefully consider whether this is the right thing to do. Use of a trust: Money and property can be placed in a trust to avoid the probate process. You can utilize a trust to ensure that money and property pass quickly to the intended beneficiaries. But trusts aren’t for everyone and you should discuss the differences, advantages and disadvantages of trusts with an experienced attorney. Address loans given during your life: It is common to provide monetary gifts and loans to family members. You should address these in your will. If you loan money to certain individuals and it was not paid back prior to your death, you should address whether the estate wishes for that to be repaid or whether it is forgiven. To further discuss how to avoid family disputes in the future, call the Law Offices of Larry E. Bray at 561-571-8970. Our West Palm Beach legal team is eager to assist you today.